Mary Ann was born in Ganges Michigan to the parents of Louis and Bertha Plummer. She grew up on the family farm along with 7 brothers and 3 sisters. She moved to Chicago in 1941 and graduated from Waller High School where she met and married George Enders in 1945. In 1953, they settled in Leyden Township where she lived for 62 years. Mary Ann was dedicated to serving the Lord in many capacities. She served by caring for her family, volunteering in church and fund raisers. She enjoyed many years as a Sunday School teacher and Awana leader. Located close to O'Hare airport, their house became the B&B for many trevelers, especially missionaries passing through. Mary Ann loved to cook, garden, and sew, using her talents to serve others. She gave birth to nine children, four of whom passed away in infancy. In 1969, she and George became foster parents and then adopted 3 children in 1979. The last few years of her life was spent at Central Baptist Village where she received loving care during time of her decline. The common thread for her service was her belief, faith and trust in Jesus Christ as her Savior. She truly radiated the love of Christ in her actions, leaving a permanent positive imprint on all those she touched. 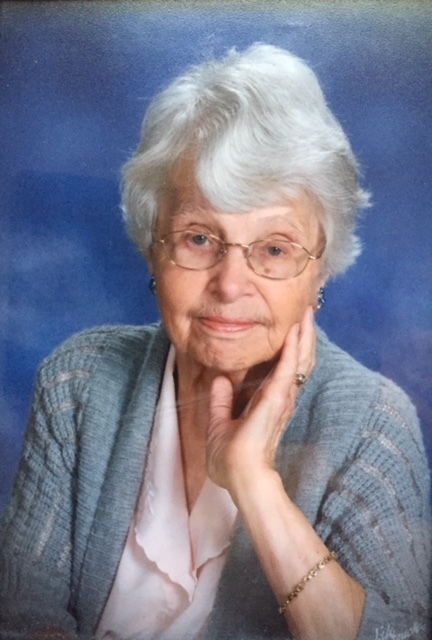 Mary Ann Enders (nee Plummer), age 90, loving wife of the late George. Beloved mother of Esther (David) Hanna, Lois (George) Gregory, Martha (Craig) Siress, Mary Lou (Ken) Adams, Diane (John) Ellison, James (Alexis), late George Jr., late Ruth, late Paul, late Deborah, and the late Elisabeth. Dear Grandmother of Ruth (Andy), David (Kristy), Meagen (Chad), Heather (Austin), Joshua (Jessica), Rebecca (Kai), Margaret (Matt), Antone (Tiffany), DeLite (Darius), Craig 2nd (Amber), Dustin (Janice), Samuel, Benjamin (Nicole), Elizabeth (Jonathan), Rachel (Drew), Jonathan (Allison), Natalia, Teresa, Ella, Gavin, and Gabrielle.. Great Grandmother of 26. Sister of Margaret Messerer, Aaron Plummer, Gerald Plummer, and Carolyn Stepka. Aunt of many nieces and nephews. Visitation Sunday, July 15, 2018 from 3:00 pm – 7:00 pm at Cuneo-Columbian Funeral Home, 10300 W. Grand Ave. (1 blk. east of Mannheim Rd.) Franklin Park, IL. Funeral service Monday, July 16, 2018 at 11:00 am at Cuneo-Columbian. Interment Fairview Memorial Park, Northlake, IL.